Additional Comments: Exquisite Offering! Rare opportunity to own a spectacular lakeview home at Bristol Harbour Village. Outstanding contemporary, professionally decorated with custom high end finishes including granite countertops, gas fireplace. Extraordinary panoramic lakeviews from all main living areas and first floor master suite. Mint condition. Move in and enjoy luxury living at its finest. Maintenance freedom plus Bristol Harbour Amenities including private beach, tennis and pickleball courts, community center, fitness room, golf, marina and more. We would be happy to provide more detail or show you this property. Please contact us by phone at 585-330-8258, email us, or use the form below to submit your request. The data relating to real estate on this web site comes in part from the Internet Data Exchange (IDX) Program of NYSAMLS's. 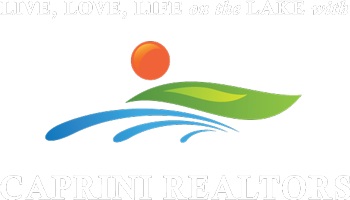 Real estate listings held by firms other than Caprini Realtors, are marked with the IDX logo and detailed information about them includes the Listing Broker's Firm Name. Disclaimer: All information deemed reliable but not guaranteed and should be independently verified. All properties are subject to prior sale, change or withdrawal. Neither the listing broker(s) nor Caprini Realtors shall be responsible for any typographical errors, misinformation, misprints, and shall be held totally harmless. © 2015 CNYIS, GENRIS, WNYREIS. All rights reserved. Listings updated daily. ©2018 Caprini Realtors - 6045 Hicks Road, Naples, NY 14512. Site Design, Programming, and Hosting Provided by The Gain Company.